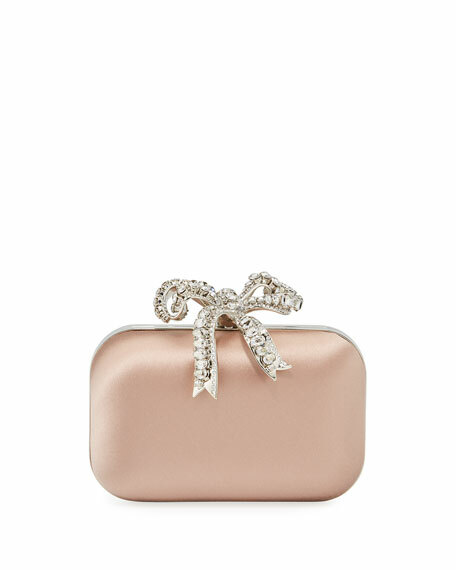 Jimmy Choo satin-wrapped box clutch bag with jeweled bow ornament. Framed top with lift-lock closure. 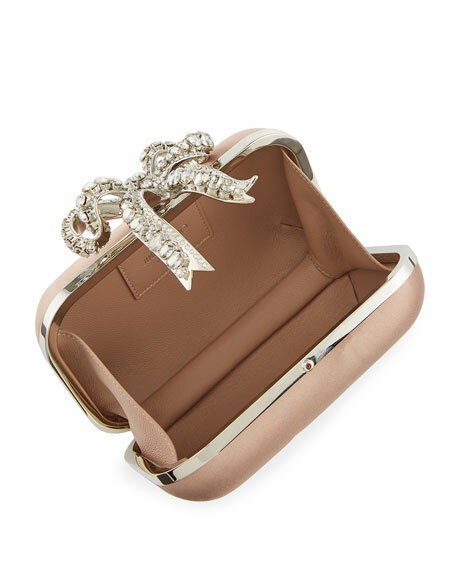 3"H x 3.8"W x 1.5"D.
Bottega Veneta satin clutch in signature intrecciato weave. Tonal ayers snake trims hard-shell body with rounded corners. Matte gunmetal hardware includes knotted hinge clasp. Satin lining. 4"H x 7"W x 2"D. Viscose/silk. Made in Italy. 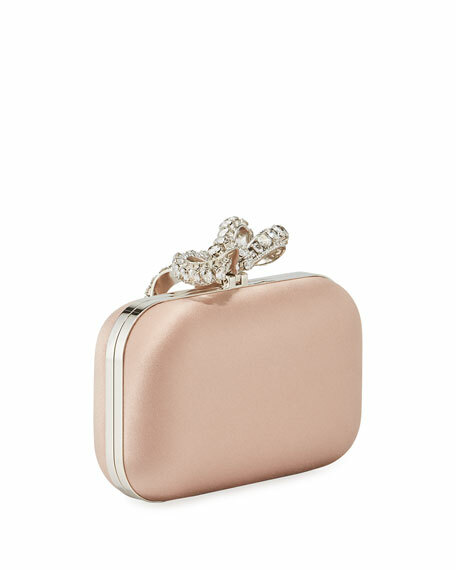 Jimmy Choo vinyl and lace clutch bag with leather trim and silvertone hardware. Removable chain shoulder strap, 24" drop. Flap top with snap closure. Asymmetric front with engraved logo. Leather lining; one zip pouch, six card slots. 4.5"H x 8.5"W x 1"D. Made in Italy.